This market is called locally 'Kala chantha' mean cattle market. I took these photographs in the morning hours en route Kumily. These cattle are being brought from Tamil Nadu state in lorries and auctioned here. 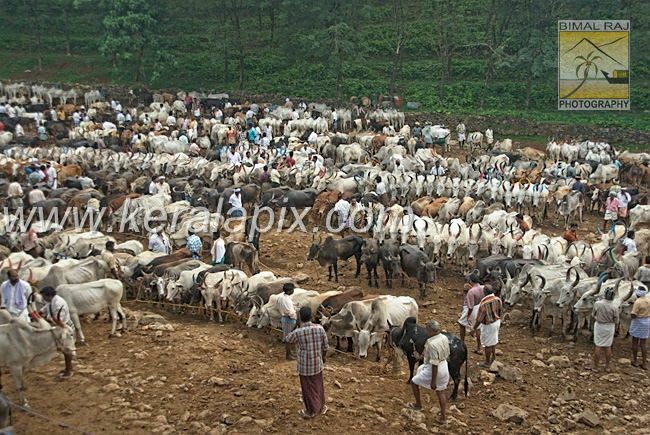 Cattle traders from different parts of Kerala come here for buying these livestock.